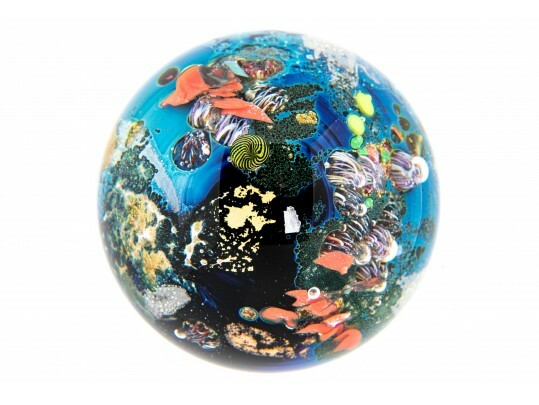 Josh Simpson planet paperweight with mixed media composition including a suspended black/yellow planet, some controlled air bubbles. Signed on verso and dated 1992. Also numbered 4-56. Condition: very good, with small leaflet.